Light Up Social Media for CCHS - Avery Biomedical Devices, Inc. There are only 1200 cases in the world of Congenital Central Hypoventilation Syndrome (CCHS). Alone, our light is dim and our whispers soft. But with your help, our light will shine bright and our voices will be heard. 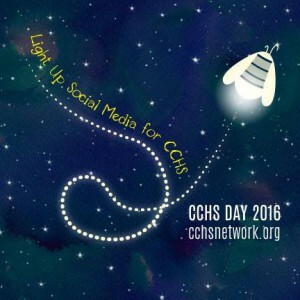 Help us LIGHT UP SOCIAL MEDIA FOR CCHS and become a messenger of hope! Simply change your profile picture to this image and then consider making a donation to the CCHS Foundation by going to www.facebook.com/TheCCHSFoundation and clicking the donate button in the top right-hand corner. No donation is too small…every penny counts! Repost this message and tag 5 friends who are likely to dedicate a few minutes to a very deserving cause. Please keep your profile picture glowing until International CCHS Day on November 12th and watch the light spread across the globe by going to www.facebook.com/TheCCHSFoundation. And don’t forget to LIKE us while you’re on the page!